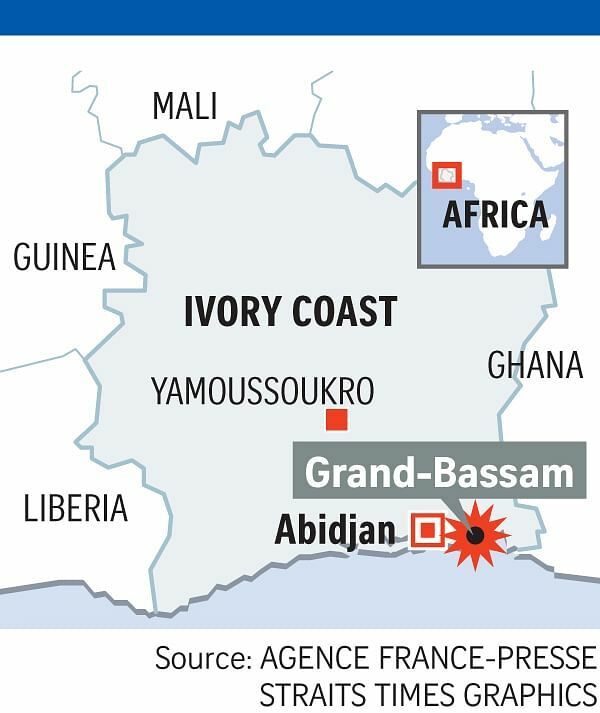 ABIDJAN • Heavily armed gunmen opened fire yesterday at a hotel in the Ivory Coast beach resort of Grand-Bassam - which is popular with Westerners - taking guests and staff hostage. 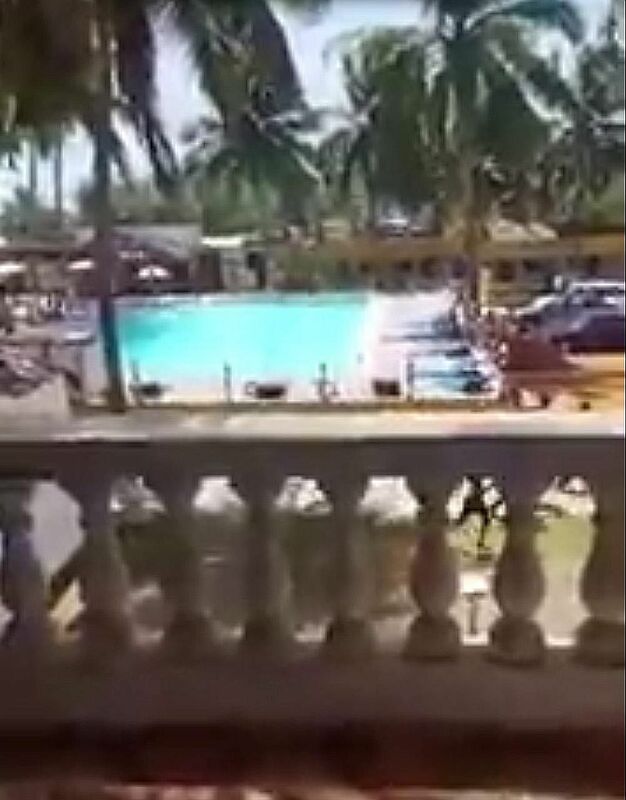 The assailants, who were "heavily armed and wearing balaclavas, fired on guests at the L'Etoile du Sud (Southern Star), a large hotel which was full of expats in the current heatwave", one eyewitness told Agence France-Presse. Hotel guests and staff were still being held hostage by gunmen at press time. Reuters said at least 12 people, including four Europeans, were killed in the attack in the former French colonial capital, around 40km east of the commercial hub Abidjan, citing a police source. "For the moment, we have a total of 12 dead, including four Europeans... We don't know yet if there are others. We are doing clean-up operations right now," the officer told security forces during a briefing attended by a Reuters reporter. An eyewitness said there were at least four gunmen. Graphic images of dead bodies swirled on social media yesterday. "They shot at everyone," a witness told Connexion Ivoirienne, according to British daily Metro. "They are going from hotel to hotel." The beach was evacuated by the national police and French armed forces amid the hostage situation. An AFP journalist saw around a dozen people, including an injured Western woman, being evacuated in a military truck. Military vehicles carrying heavy machine guns were also heading to the scene, along with armed traditional hunters known as Dozo. Attacks in recent months on luxury hotels in the capitals of neighbouring Mali and Burkina Faso have left dozens of people dead, leaving West African nations scrambling to boost security in the face of a growing terrorist threat. They shot at everyone. They are going from hotel to hotel. Analysts have voiced fears that Islamist attacks could spread to countries such as Ivory Coast and Senegal and the region's United States- led Flintlock military exercises that wrapped up recently focused on the need to counter terrorism. In Mali and Burkina Faso, Al-Qaeda in the Islamic Maghreb claimed responsibility for deadly attacks on hotels popular with foreigners in November last year and January this year. The Mali attack in November left 20 people dead, while gunmen killed 30 people in the assault on a top hotel in Burkina Faso's capital Ouagadougou in January. Home to about 80,000 people, Grand-Bassam holds Unesco World Heritage status, thanks to its elegant colonial-era facades.